I love taking pictures. Snap here, snap there. Parties, nature-shots, from the bus, indoors. There’s a photo opportunity everywhere. Some photos you take in poor lighting conditions, some are Kodak-moments, where you capture the moment, as imperfect as it may be. But all of these photos are your memories and they all have a shot at being, for lack of a better term, picture-perfect. A lot of the times, this involves getting your photo on your computer, starting up good ol’ Photoshop and editing colors and adjusting contrast. But perhaps all you need to do this is your iPad2. 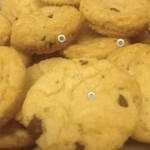 Trying to make up for the iPad2’s lack of photo-editing software is Touchlook HD. Ah, Christmas, the time of the year when, let’s face it, no matter if you were nice or naughty, you’ll still get a ton of presents. We’ve turned into a consumerist society that’s well past beyond its point of salvation, but that’s a discussion for another time. Several things are important during the Holidays, but perhaps none as important as the memories you’ll have after all is said and done. Pictures, videos, postcards, every event gets a place in the memory warehouse, as Stephen King put it in Dreamcatcher. But now you can make these memories become so much more with Animoto’s free iPhone app, by turning all your pictures, videos and nice thoughts into incredible video masterpieces in just a few easy steps. You use slideshows when you have an important meeting and you want everybody to actually see what you are talking about. Or when you want to share with our friends the pictures you took during your most recent trip. Or just when you can’t really find the words to say what you mean, so you’d rather use images than words to express yourself. Although we’ve reviewed similar apps in the past here on Appbite and the AppStore is full of them, I’ve yet to see one I was comfortable with and that did the job right. And now, I did. 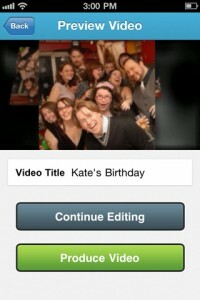 Slideshow+ lets you create and share your slideshows anywhere, anytime, with a single download from the AppStore. Do you want to learn how to play the piano, but just haven’t found the time or the right person to teach you? Or are you a piano teacher who is looking for new ways to make your students improve their piano playing skills? Ta-da, Note Goal Pro to the rescue! 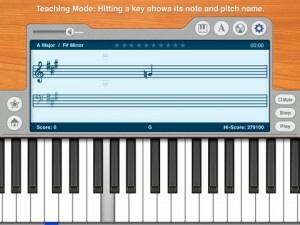 Turn your iPad into a tutor for piano player beginners with this iOS app. 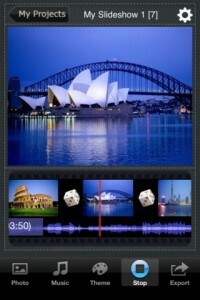 Note Goal Pro is the app that will make learning to play the piano easier and more entertaining. Whether you choose to create a username or start playing as guest, the rules of the game are simple: once you press play, a bunch of notes will appear on the music sheet, and all you have to do is play them on the piano keyboard in front of you. Sounds simple? Well, that depends on how much experience you already have with playing a piano. You know Christmas is coming when all the shops are filled with Christmas decorations, Santa Claus commercials are playing on TV, and it’s finally snowing. You can already imagine the beautiful pictures you’re going to take outside, playing in the snow. But even if it isn’t snowing outside yet, you shouldn’t be bummed. 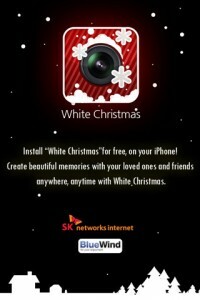 You can still have your snowy pictures with just one download from the AppStore. Get White Christmas and let it snow, let it snow, let it snow. How many times did you want to show somebody a picture, and just couldn’t remember where you put it? Having so many pictures that we want to share makes us create tons of profiles on social networks, so that we can share our visual memories with all our friends, regardless of whether they have a Facebook account, Picasa or Flickr. But what if you could gather all your pictures in one place, without them taking up any memory on your mobile device? 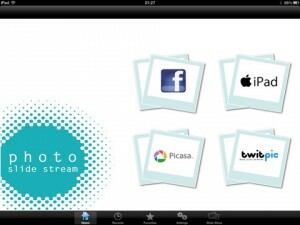 Check out Photo SlideStream in the AppStore and find out how this is possible.